Johannesburg - Finance Minister Malusi Gigaba on Tuesday said Treasury was making good headway in finding a way to fund free higher education and would announce the plan during the Budget next month. President Jacob Zuma announced last month at the ANC’s elective conference that the government would grant free higher education to poor and working class students from households with a combined annual income of R350 000. But he didn’t provide details of how it would be funded and there was wide speculation that he made the announcement without properly consulting Treasury. Questions have been raised on how South Africa would fund this as it struggles with slow growth and a tax shortfall. Zuma’s announcement also caused financial jitters on the market, amid fears that he was using populism to save himself, with no money available to fund the measure. But Gigaba said good progress was being made. He was speaking at a press briefing after he met ministers and Treasury officials to discuss the Budget that will be presented on February 21. One of the biggest headaches of planning the current Budget is where Treasury will find the money to finance the free higher education. 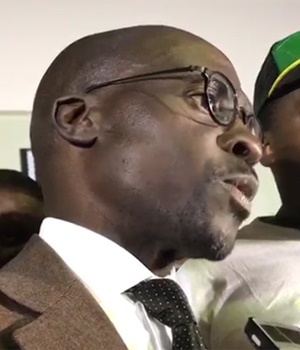 Gigaba said the government had now established how much free higher education would cost South Africa, but said he was not at liberty to disclose the amount because the process was still underway. He said so far the government has not bent any rules to accommodate the free higher education funding. “You will remember that in the mini-Budget we had calculated risks that we should anticipate,” he said, adding that free higher education was one of these risks. He said once the Heher Commission released its report, the government expected to face pressure, especially among stakeholders, to implement those decisions. Gigaba said that higher education had always been a pressure come Budget time. About 2 or 3 years ago government had to find billions of rand in order to provide funding for higher education given the student protests around the country, he said. “We are now at the stage where we are beginning to implement the funding solution that we require in order to stabilise the system and provide access for children of poor parents,” he told reporters. But Gigaba admitted that there was still a lot of uncertainty, including how many students exactly would need financial assistance. He said that Zuma had not announced the measure it would have resulted in further protests as classes resumed. This programme is not available to everybody, Gigaba said, adding that those that are “deserving” because of their family incomes will have access. He said it will also be implemented within the admission policies of the different tertiary institutions. Gigaba said that this meant that students will still need to have applied, and still need to have been admitted. Walk-ins, he said, will happen “from time to time”. Universities however, would manage the processes together with the Department of Higher Education of raising the necessary funding and making it available. “Our responsibility is to ensure we can find the quantum of resources required for this financial year and we begin to build into the medium term and see how we can fund this going forward,” he said.